Beijing has welcomed dozens of world leaders and hundreds of business representatives at the Belt and Road Forum where China’s president, Xi Jinping, provided a platform for building a new reality of fair and mutually-beneficial cooperation. Russia will actively participate in implementing the ‘One Belt, One Road' initiative, Vladimir Putin said on the second day of the forum in Beijing. The Chinese president emphasized that creating a solid network of roads and transportation links will ensure the success of Chinese Silk Road initiative. 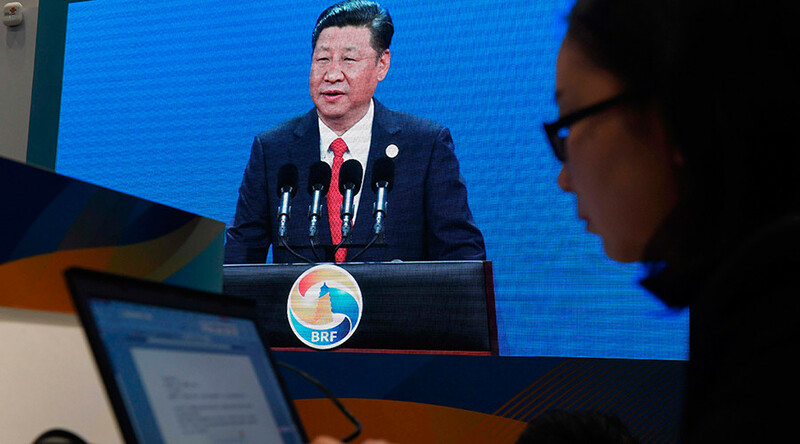 Addressing heads of state and international delegations on the second day of the forum, Xi Jinping also stressed the need to create major energy projects to support the initiative. He also encouraged greater cultural exchanges between partner states. Germany said it would not sign a joint statement at the Chinese new Silk Road forum if the document did not include guarantees on free trade and fair competition, German Minister for Economics and Energy Brigitte Zypries said at the meeting. "If these demands are not met, then we cannot sign. We'll see what happens tomorrow," she said during a press briefing on the sidelines of the meeting. She also called for greater transparency in tenders for the new Silk Road program’s projects. "Germany does want to take part (in the initiative), but tenders need to be open to everyone. Only then will German companies take part," she said. The minister also criticized China’s restrictions limiting foreign companies’ ability to buy assets in China. "We want German companies to be able to operate in China in the same way Chinese companies can in Germany," she said. Venezuelan Deputy Foreign Minister Felix Gonzalez welcomed the new Silk Road initiative in Beijing. He warned, however, that the plan could face obstacles created by countries who view it as a threat to their national interests. India, who refused to send an official delegation to the forum, has criticized the Beijing initiative and said the new Silk Road would create an “unsustainable debt burden” for the countries who sign up for the project. The Indian Foreign Ministry’s spokesman, Gopal Baglay, also specifically said that his country would never accept a project which “compromises” its sovereignty – referring to the fact that the new Silk Road program includes infrastructure projects in Pakistan and the hotly disputed region of Kashmir. "No country can accept a project that ignores its core concerns on sovereignty and territorial integrity," Baglay said, as cited by Reuters. Vladimir Putin discussed Russia and China’s bilateral economic ties during his official meeting with the Chinese leader, Xi Jinping. The Russian president said that Russia and China are developing a number of “strategic initiatives” and welcomed an ongoing increase in bilateral trade. China hopes to boost financial cooperation between participants of the new Silk Road program through the use of local currencies, the head of China’s Central Bank, Zhou Xiaochuan, said, as reported by Reuters. He added that an extensive use of local currencies within the framework of the project, also known as the Belt and Road initiative, could contribute to reducing costs while boosting financial stability in the region.